Brendon Small – the mastermind behind massive metal band Dethklok and albums The Dethalbum (the highest-charting death metal album ever on the Billboard Top 200 chart),Dethalbum II, Dethalbum III and Metalocalypse: The Doomstar Requiem – has been teasing a new chapter of his popular Galaktikon saga for months. After spending the past two years writing and recording new material and dropping random hints throughout the media and at appearances, the wait is over. Galaktikon II: Become The Storm follows the space-age theme of 2012’s originalGalaktikon album, with a conceptual storyline and a heavier, darker, more brutal sound. In addition to Brendon Small on vocals and guitar, the new album will feature acclaimed musicians and Dethklok alum Bryan Beller (bass/The Aristocrats, Dweezil Zappa, Steve Vai) and Gene Hoglan (drums/Testament, Death, Dark Angel). Galaktikon II: Become The Stormwas co-produced by Small and Grammy-nominated producer/engineer Ulrich Wild, who also worked behind the board on the Dethklok albums. 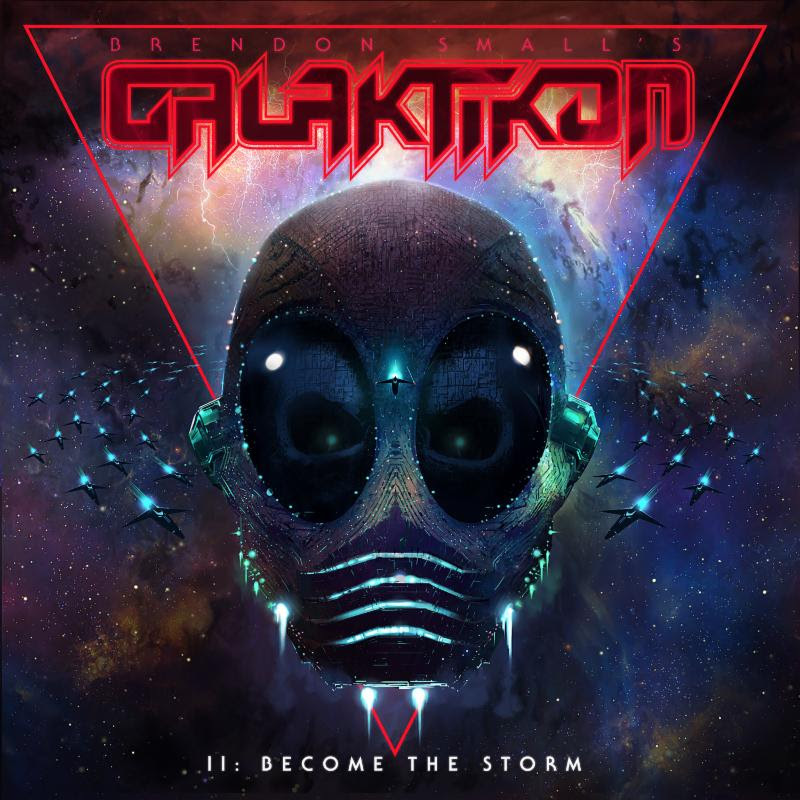 With these names behind the project, it should come as no surprise that Galaktikon II: Become The Storm is a welcomed transformation and expansion of the sound that put Brendon Small on the musical map. With uncapped time and creativity on their side, Small & Co. were able to reach above and beyond what fans have come to expect as of now.Galaktikon II: Become The Storm proves to be Small’s most commanding release yet.